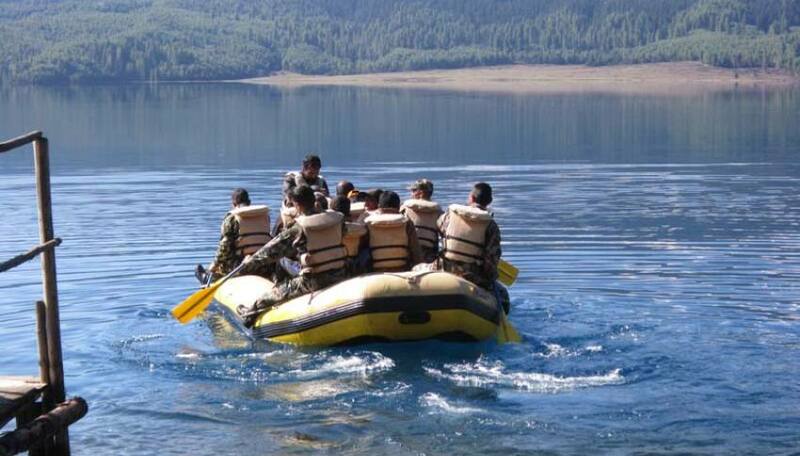 The Rara Lake Tour commences from Kathmandu and takes you into several UNESCO World Heritage Sites before seeing you off at Tribhuvan International Airport. Swoyambunath, also known as ‘Monkey Temple,’ is full of symbolism and is one of the oldest religious sites in Nepal. The Buddhist temple offers an incredible view of Kathmandu. Boudhanath Stupa is one of the largest Buddhist shrines in the world. We’ll see monks and devotees circumnavigating the stupa. Pasupatinath Temple is the most famous Hindu temple in the country. You can see sadhus (holy men) meditating, pilgrims bathing, and bodies being cremated on the banks of the Bagmati River. The day after our tour, we fly to Talcha and take a short trek to Rara Lake, a most marvelous place. Rara Lake Tour is one of the most fascinating lake tours in Nepal as it takes us to the exotic region of Rara Lake, full with stunning natural beauty. 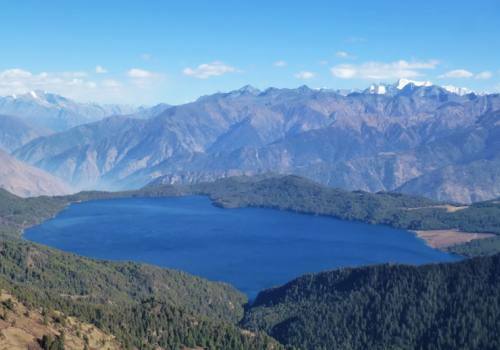 Adjoining Rara Lake is Rara National Park, where animals like Himalayan black bear and Red Panda reside. The trek to Rara National Park brings delight for botanists, nature-lovers and bird watchers. One can explore incredibly diverse Himalayan vegetation and observe different kinds of birds and wild animals during our Rara Lake Tour. The four hour trek to Rara Lake brings joy for those who are fond of passing some time in recluse in the lap of nature. Karnali region, where the lake is located, is one of the remote regions in Nepal, allowing the visitors find some time in tranquility. 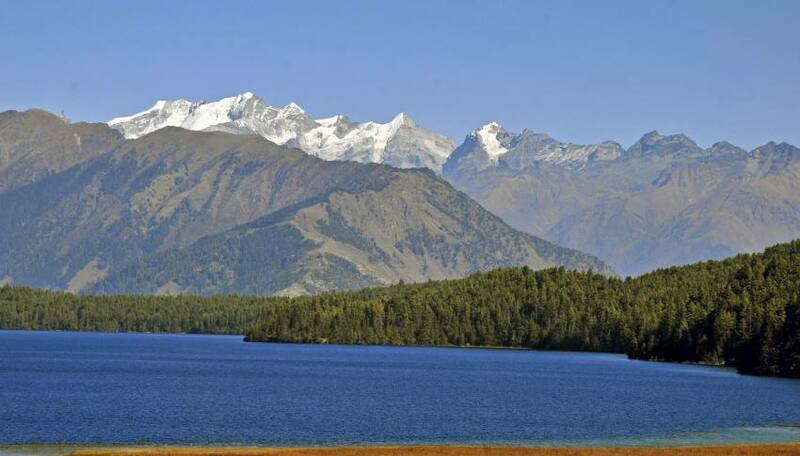 When looked at from a distance, Rara Lake looks like a blue nymph, indulged in romance with mountains. The lake is neighbored by tall trees on three sides and High Mountain peaks on the fourth. It is located in the north-west region of Nepal, which is known for long ridges covered with temperate forests and alpine pastures enclosing high valleys. Such landscape make Rara Lake region perfect for trekking. Rara Lake is the largest lake in Nepal with length of 2980m and the best season to visit the lake are during spring & autumn. Day 01Arrival in KathmanduUpon your arrival at the Tribhuvan International Airport in Kathmandu, our representatives will greet you at the Airport and drop you to the hotel. Welcome drinks will be served at the reception and refreshment then our representatives will brief you shortly about your tour program. Overnight stay at the Hotel. Day 02Sightseeing in Kathmandu and preparation for the tripKathmandu Valley includes several UNESCO World Heritage Sites, including Pashupatinath (famous Hindu temple and cremation ground) Boudhanath (massive Buddhist stupa). We can also visit Swyambhunath, also known as Monkey Temple, which was built roughly 2000 years ago. Finally, we can visit Patan, city of fine arts. In the afternoon, you will be meeting with your trekking guide and will check all the necessary things. Overnight stay at the hotel. Day 03Fly from Kathmandu to NepalgunjToday, as per the flight schedule for Nepalgunj, we will get to the domestic terminal of the airport for one and half hour scenic flight to Nepalgunj. We will have time in the late afternoon or evening and have a look around the town which is situated on the border with India. We will stay overnight at the hotel in Nepalgunj. Day 04Fly from Nepalgunj to Talcha/Rara LakeAfter breakfast in the morning, we will catch a flight from Nepalgunj to Talcha Airport. Talcha Airport is situated nearby the Rara Lake. We have to walk for about 3-4 hours to reach the enchanting lake. Overnight stay at a hotel or a tented camp near Rara Lake. 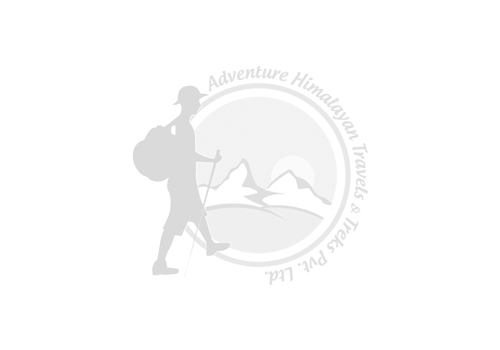 Day 05Exploration Day at Marma TopToday will be the exploration day hike to Marma Top. After taking our morning breakfast, we head up to Marma Top, which offers a panoramic view of rolling hills that lead up to the snow-capped Himalayan peaks. From here, we will enjoy our packed lunch and snap some photos. When you're ready, we head back down to Rara Lake and stay there for the night. The total journey (there and back) takes about 5 hours. 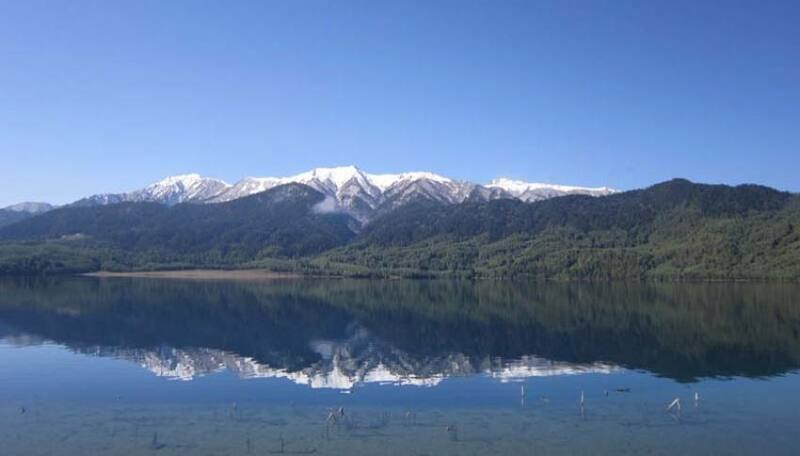 Day 06Exploration at Rara LakeYou will have early morning breakfast at the Hotel and then you will be exploring around Rara about the culture of local people & flora/fauna of Rara. We will explore around the area including the old village of Rara where we can also climb up to the wooden observation tower behind the post office for fine views of the lake and surrounding hills. Also, you can enjoy swimming in the wonderful lake. After finishing the exploration around Rara and after enjoying its beauty to the fullest magnitude, you will then head back to the Talcha Airport. It will take about 4 hrs. to reach the Airport. Overnight stay at the hotel in Talcha Airport. Day 07Fly from Talcha - Nepalgunj - KathmanduThe next morning, you take a short scenic flight for around 45 minutes from Talcha to Nepalgunj. On arrival at Nepalgunj, you will connect to the scheduled flight to Kathmandu the same day. Celebratory dinner in the evening in Kathmandu. Overnight stay at a hotel in Kathmandu. Day 08Departure!You will have breakfast in the morning and then be transferred to the Airport in Kathmandu from where you will take a flight back to your home country.